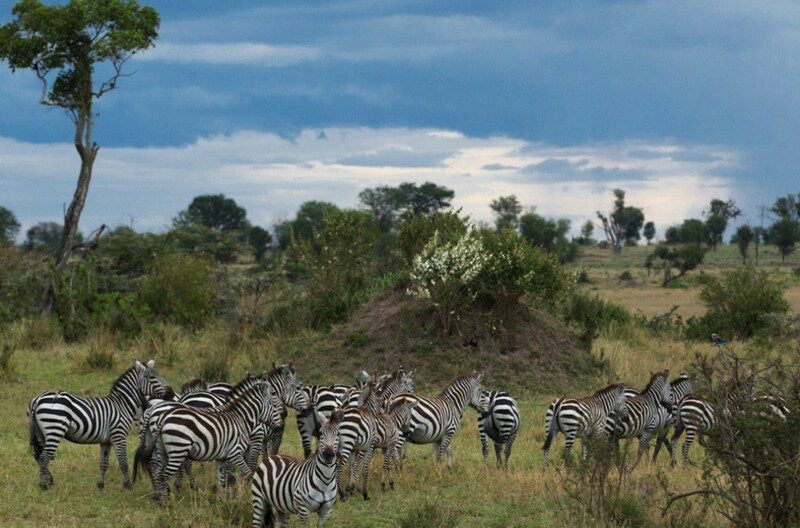 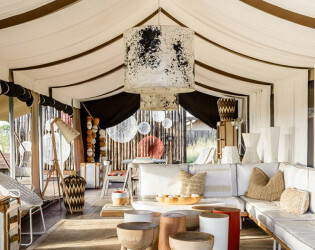 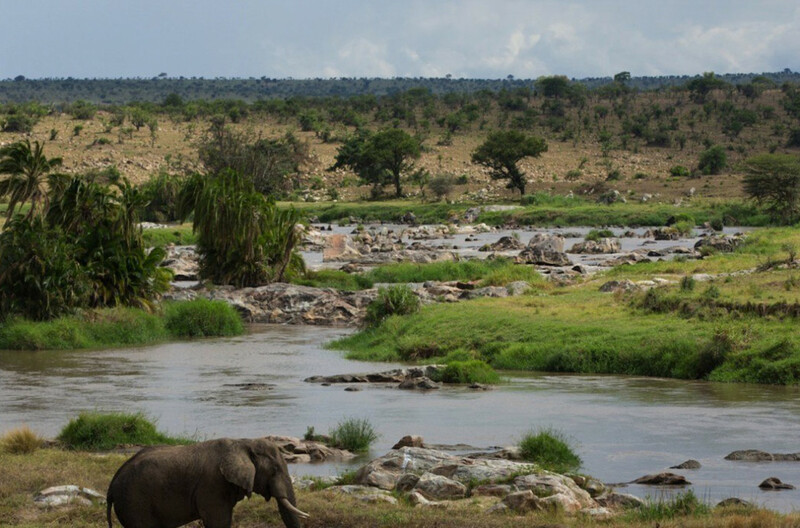 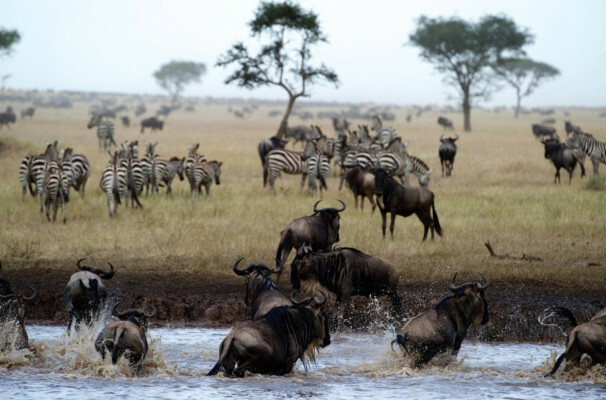 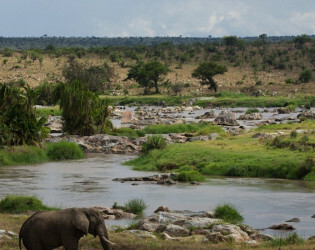 Singita Mara River Tented Camp is the epitome of sustainable tourism while operating "off-the-grid." 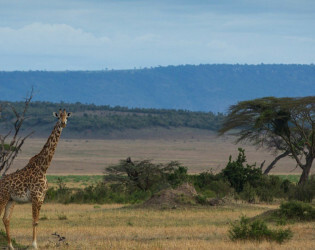 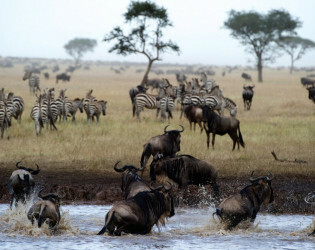 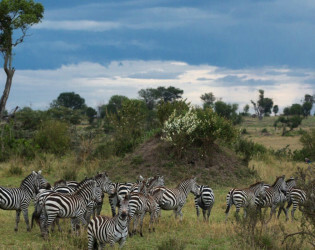 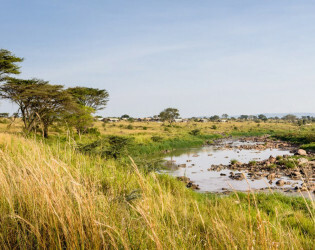 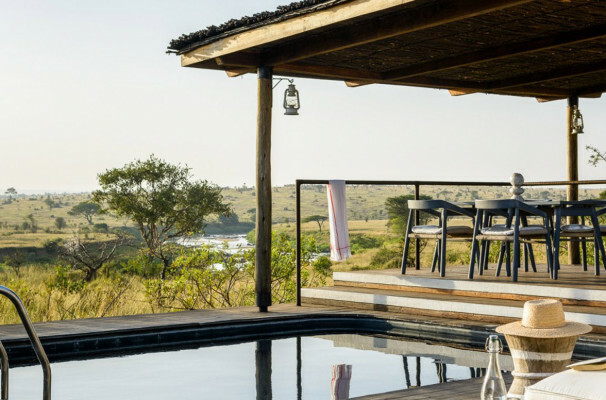 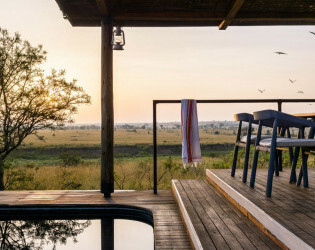 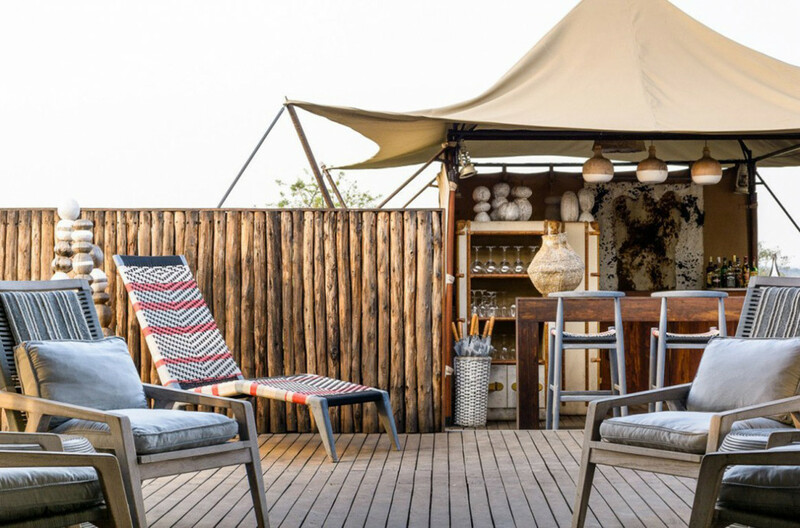 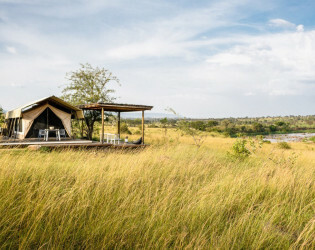 Remote and unspoilt, Singita Mara River Tented Camp meets the demands of an increasingly discerning traveller for an authentic and meaningful connection with nature that leaves behind a lighter footprint. Inside the camp, bohemian chic sets the tone for cool relaxation; raw leather blends, Maasai colours and elegant art by young African designers and craftsmen. In keeping with this philosophy, the camp operates “off-the-grid” and relies entirely on a custom designed solar system for its power and the use of recycled and natural materials wherever possible. 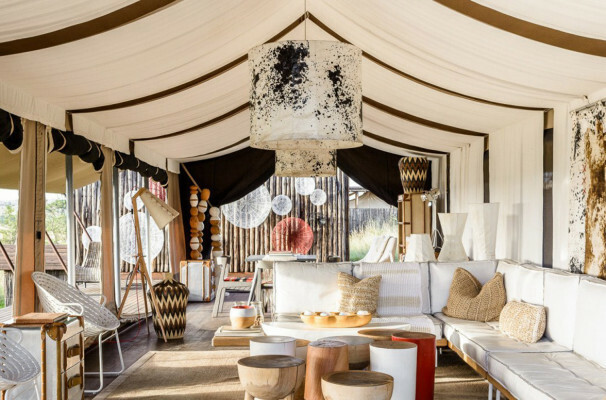 Inside the camp, bohemian chic sets the tone for cool relaxation, where spun natural fabrics, canvas, stone and raw leather blend with Maasai primary colours and elegant art pieces by young African designers and craftsmen. 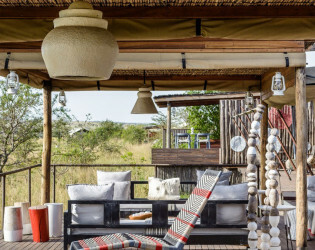 The functional East African design encourages guests to embrace the outdoors and connect with nature. 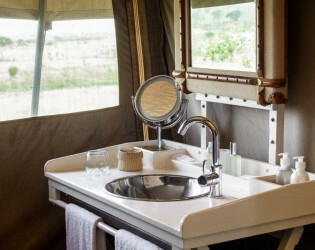 There is a plunge pool in the main camp. 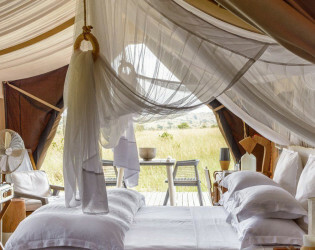 There is no television at this camp. 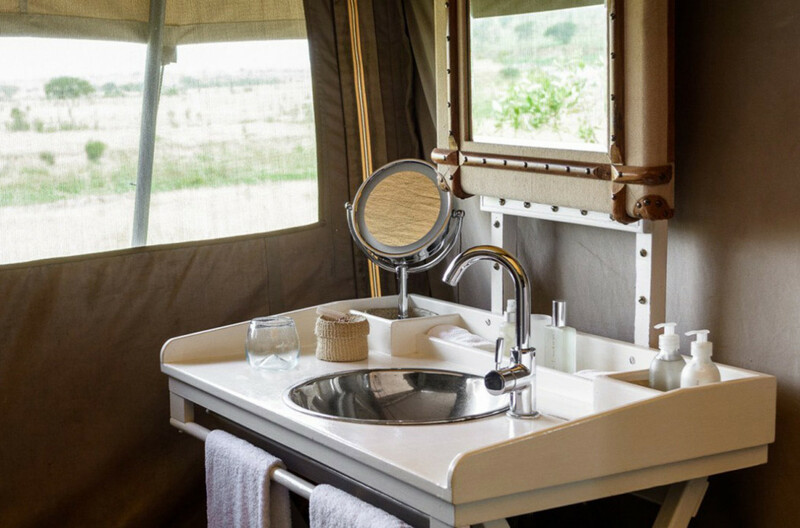 Electricity/power available: Solar-powered, with international plug points and gently-powered. 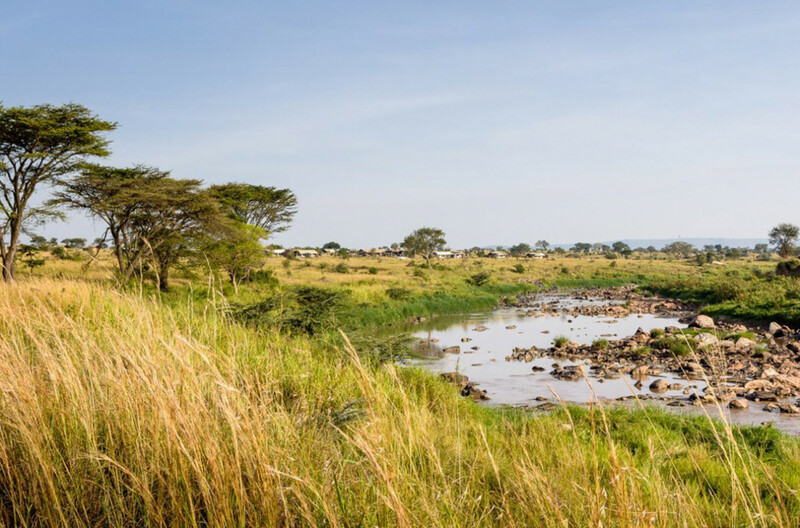 Children aged 10 and over are welcome. 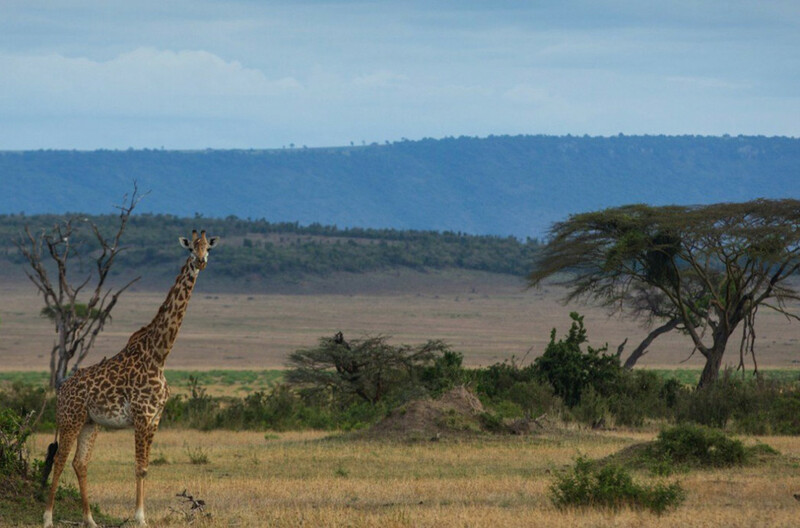 There are baby-sitting services available and tailor-made activities to suit each family. Children’s participation in game activities is at the discretion of your guide. 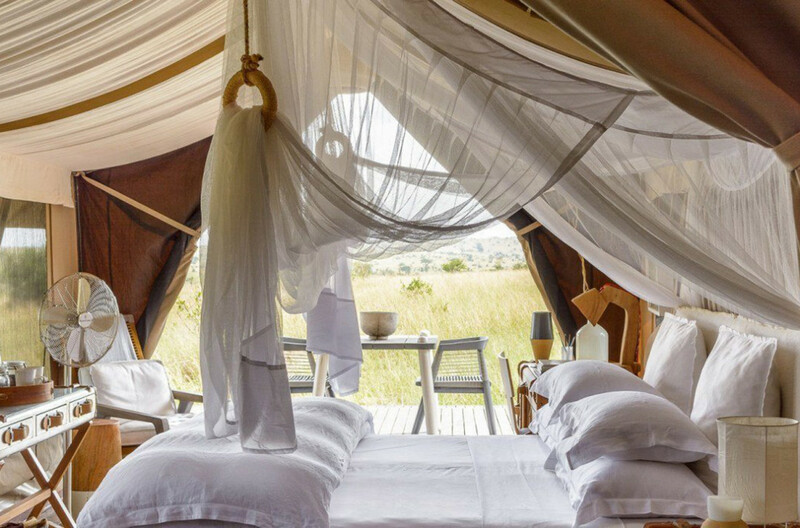 Please note that due to its remote location, we are unable to offer Kosher or Halaal facilities at this camp. 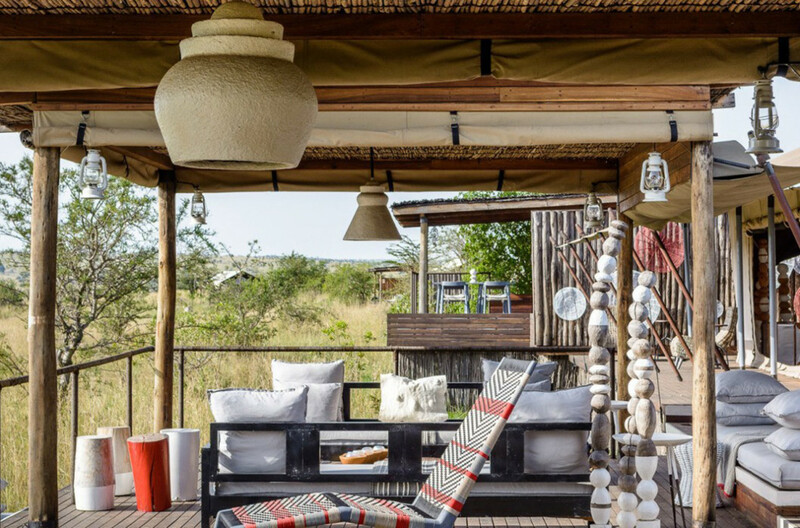 The look is Bohemian chic, contemporary with splashes of bright colours, yet not losing the elegant yet relaxed feet-up style that defines the Singita brand. Strong modern design puts a fresh spin on local creativity, with inspiration coming from traditional, everyday African objects like baskets, beads and pots, reworked and repurposed by young African designers and craftspeople. 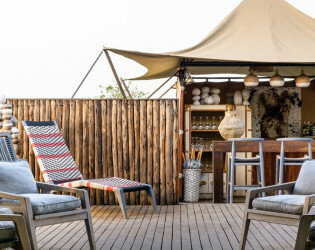 In keeping with this philosophy, the camp operates “off-the-grid” and relies entirely on a custom designed solar system for its power and the use of recycled and natural materials wherever possible. 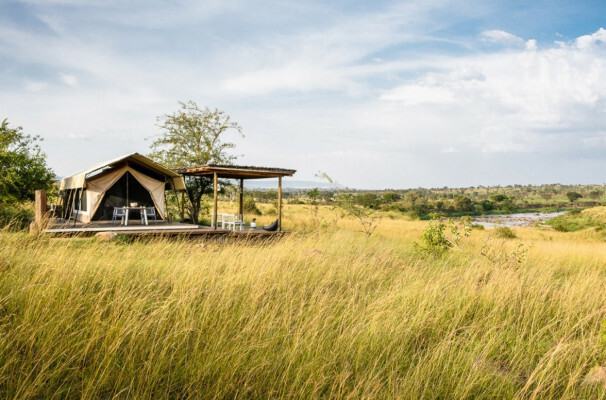 Close to the ground and off the grid, the concept and design of the camp encourages constant engagement with nature. 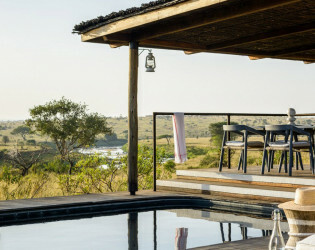 The functional East African design encourages guests to embrace the outdoors and connect with nature. 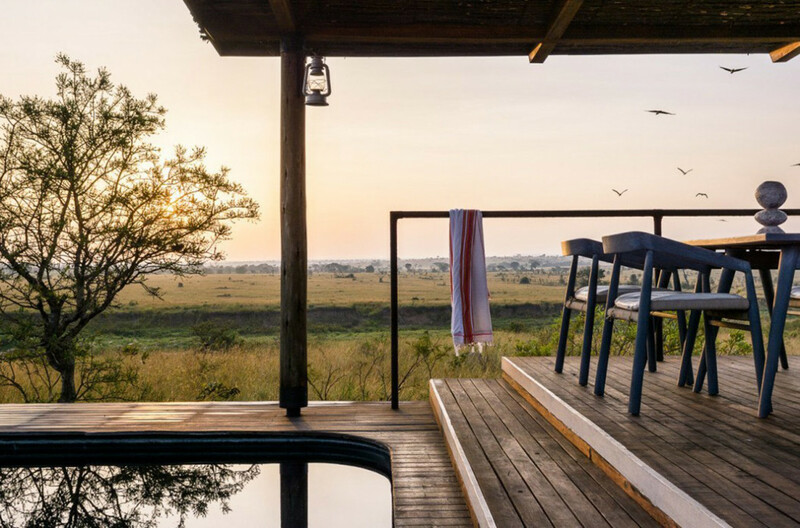 Enjoy the beautiful sunset from the pool.